Cornwall make just two changes to the side that defeated Devon at Penryn for this Sunday’s County Championship Under 20’s quarter-final against Gloucestershire at Camborne kick-off 2-30 pm. Both changes are in the backs where Tom Holdsworth (Truro College) comes in at centre, whilst Connor Swan (Truro College) who played against Dorset & Wilts but missed the Devon game steps back in at scrum-half in place of the injured Sam Fox. The pack is unchanged from the Devon game with Todd Prisk (St. Ives) again leading the side in the second row. On the bench last season’s skipper Neil Broadbank has seen his season ended with an Achilles injury, so there are call ups for Robbie Kessell (Redruth) and Tony Pellow (Penryn), whilst prop Tommy Phillips (Truro College) also returns after South West 18 group duties. The quarter-final place was earned following an away victory against Dorset and Wilts by 37 – 35 and then a hard fought win against local rivals Devon 18 – 15. 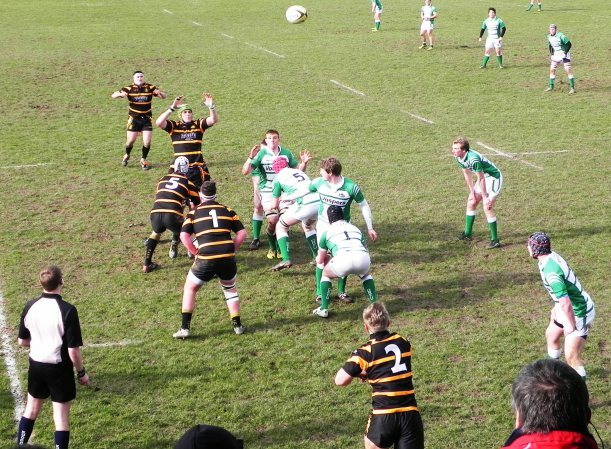 The Devon victory was helped by tries from Brad Janes and Rhys Brownfield who also added a conversion and two penalties. A victory for Cornwall will see them earn a semi-final against an unknown opposition at present but a home venue!! Entry is via programme at a cost of £2, which will be sold on the gate on match day. The CRFU also thank our hosts Camborne RFC and the match officials who all represent the South West Group. Cornwall U.20: J Kessell (St. Ives), L Tidball (Truro), T Holdsworth (Truro College), S Chapman (Cornish All Blacks), A Taylor (St. Austell), R Brownfield (Pirates Amateurs &Bath Uni), C Swan (Truro College); J Martin (Truro) J Innard, (Truro College), T Gendall (St Ives), T Prisk (St. Ives) (Capt), H Baker (Wadebridge Camels), N Stenleick (St. Ives), J Haines (Cornish All Blacks), B Howe (Cornish All Blacks &Truro College). Below is the Gloucestershire squad that faced Berkshire in their last game. Their line up to face Cornwall is yet to be finalized. Gloucestershire: Jack Skelton (Weston-Super-Mare); Jacob Unwin (Hartpury College), Sam Hanks (Cinderford), Daniel Spencer-Tonks (Old Centralians), Ryan Woodhouse (Matson); Ollie Locke (Old Centralians), Sam Watkins (Cinderford); Dean Brooker (Ealing), Finlay Sinclair (Cinderford), Lyon Kent (Gordon League), Lance Randall (Cinderford) (capt), Jake Holcombe (Dings Crusaders), Joe Dancer (Dings Crusaders), Max Woodward (Old Redcliffians), Will Hodgetts (Cinderford).